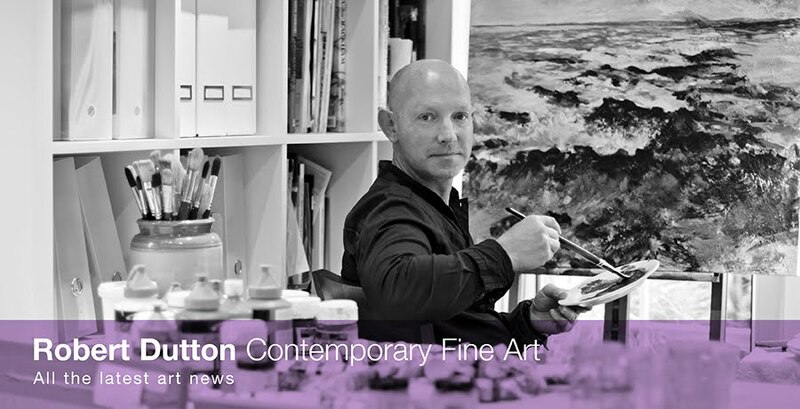 Robert Dutton Artist: Straight to the point...with Nitram charcoal! Great news! 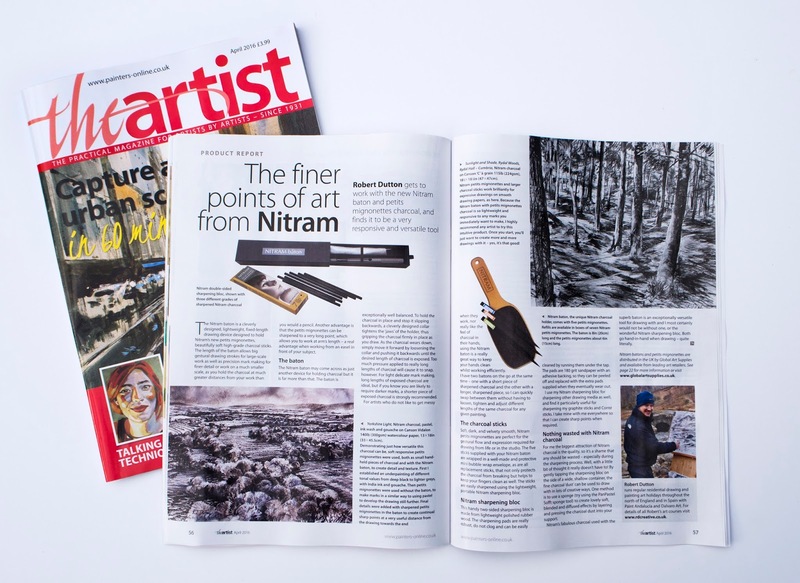 'The Artist' magazine have published a great article to help you with your drawing...and all with Nitram Charcoal! The article as you can see is described as 'The finer points of art...'and this may seem like a bit of a contradiction since charcoal are big lumpy things are they not more suited to expressive drawings and sketching? Not so! Throw that idea out of the window...along with your old lumpy charcoal! Nitram charcoal (made in Canada) have created lots of different thicknesses and grades of charcoal from soft to hard that all manor of creative possibilities are achievable with their consistently fine grade charcoal. 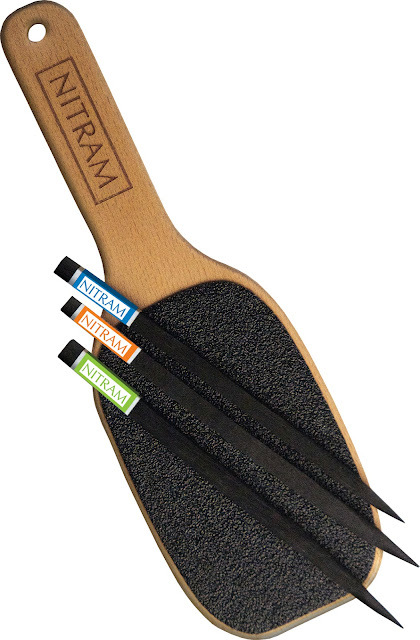 Better still, for precision based directions with your art, Nitram have created a wonderful new tool to help sharpen your charcoal sticks and other drawing tools as well (all brands) with their 'Nitam Sharpening bloc'. Take a closer look at this superb lightweight sharpening tool (see opposite). It's like a small bat really and has very robust 'Emery' type paper attached to both sides of the sharpening block (or paddle) which wash easily under the tap to remove any surface clogging so you can use it again. These Emery type pads on the paddle are really easy to clean, very strong and long wearing. I use mine all the time (pretty much on a daily basis) and still, after about 18 months constant use are as good as the day I got it. Furthermore, because Nitram care about their customers so much they have added a spare set of these Emery type paper pads in the box when you buy your sharpening block - that's great! Opposite and featured with the Nitram sharpening bloc are 3 different grades of Nitram charcoal. Each started as a square ended stick. Using the block you can see how I've been able to sharpen them to a beautiful sharp point - perfect for detail and precision mark making when needed. Now, lets take a look at another of their innovative products created for precision - the Nitram 'Baton'! I give full description in the featured article in the April 2016 edition of 'The Artist' magazine lots of techniques you can create using this superb drawing tool. However, in general terms, the Nitram Baton has been created so you can keep at distance from your drawing whilst at the same time having a really long and sharp point with your charcoal (sharpened with the Nitram Bloc). Now you can apply the required details needed to complete your painting whilst seeing the whole piece of work as one. Fantastic idea as you don't get fixated in any one area with tiny bits of charcoal any more leading to an overworked drawing. 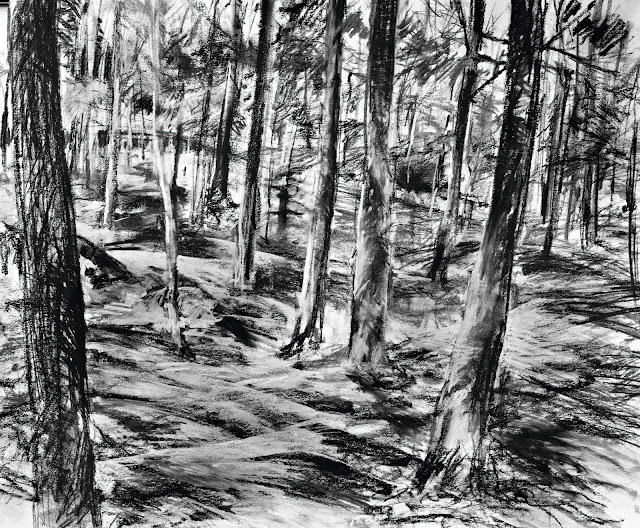 Featured in April edition of 'The Artist' magazine are several drawings I have created whilst demonstrating on several of my art holidays in the UK for my students whilst teaching drawing and painting techniques. Here's one of them, created with my students at Rydal Hall near Ambleside in The Lake District. With 42 acres of beautiful woodland, well tended gardens and idilic and dramatic mountain streams flowing through the natural gardens at Rydal Hall, so many creative possibilities are possible. No wonder it's such a popular venue with everyone who comes on my art holidays! We are back in April, August again in October 2016 in the heart of Lakeland to explore the woods, grounds, lakes rivers and mountains...and of course the exciting creative possibilities with Nitram Charcoal!